Sutphen Corporation has been a leading manufacturer of fire trucks since 1890, making this family-run business the oldest continuously run fire apparatus manufacturer in the country. With four factories in Ohio and one in New York, Sutphen builds top-of-the-line aerial platforms, as well as custom extruded aluminum pumpers, ladders and walkaround rescue vehicles. Headquartered in metropolitan Columbus, Ohio, a fifthgeneration of Sutphens now works within the venerable company. For decades, Sutphen derived its competitive advantage from building custom-ordered fire trucks, primarily to firefighters in the eastern United States. Whereas competitors usually developed a standard aerial platform or only built segments of the trucks, Sutphen historically has been able to manufacture the entire custom vehicle – chassis, cab, aerial platform and firefighting equipment – and then deliver unparalleled post-sales support and service to customers. Six years ago, the company expanded sales to the western U.S. and Canada, and suddenly experienced a tremendous surge in growth. Unfortunately, their antiquated, homegrown computer system hadn't changed much since the 1980s and couldn't keep up with the rapid growth. As a result of the growth, extra expenses and effort were incurred to meet delivery times and to fulfill demand. "Too much growth is a good problem to have," says Drew Sutphen, the company's President. "But without updating and integrating our entire operation, we felt we were putting our ability to deliver product and put responsive customer service at risk." Yet the company didn't know where to begin to make the necessary changes. 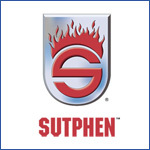 After meeting with a number of organizations, Sutphen selected Affiliated to conduct a full business review and help them evaluate its existing manufacturing, accounting and sales processes, and determine a plan of action. "We chose Affiliated because they came highly recommended in our area," says Sutphen. "But also because they were the rare consultant not selling an enterprise system. We wanted someone we could trust to serve our best interests." In the first phase of the business review, Affiliated mapped out an evaluation process, developed an understanding of Sutphen's business, and documented key operational workflows to visually show the Sutphen team how their processes actually worked. Based on all that information, Affiliated recommended a number of process improvements and that an integrated ERP solution "would effectively address our workflow, integration, inventory, and productivity issues" recalls Kathy Allton, Sutphen's IT Manager. Affiliated's evaluation revealed how processes across the business adapted to address the increase in demand. Inefficient and disparate systems threatened to undermine the company's growth, and time gaps existed between when an order was taken and engineering actually began. Because of the delay, extra effort was needed and costs incurred to make sure trucks were delivered on time. "The business review also detailed how we did things, and identified manual processes that only a handful people understood," Allton says. "It clearly helped us identify how we could be more efficient." After the review was completed, Sutphen engaged Affiliated to facilitate a Request for Proposal (RFP) process to identify the right ERP solution. After a requirements compilation using Affiliated's proven evaluation methodology, and an initial screening of ERP solutions for Sutphen's business, invited vendors made presentations and gave demonstrations. After completing the evaluation process with a team representing Sutphen's business units, the group selected their ERP solution and began the planning for the implementation of the new system. Once fully implemented, Allton believes the new system will deliver a 5% net increase in profits through automation and more efficient workflows. For example, where the old system delayed design work by 8-12 weeks after an order was received, the new system will enable work to commence immediately. "Affiliated has helped us create a smarter, more streamlined business," says Allton. She also anticipates significant productivity gains and a reduction of inventory costs. Sutphen expects the new Microsoft platform will dramatically improve customer service as well. He says the new system will improve pre and post-sales support by allowing customers to access information online in near real-time, such as product availability and shipment tracking. "Integrating all of departments – from accounting to manufacturing to sales – will improve our service and help us deliver a better customer experience, which has always set us apart." "Affiliated has helped us create a smarter, more streamlined business. They have become a true trusted advisor--someone we know we can count on to serve our best interests." A leading manufacturer of fire trucks desired a complete evaluation of its business in order to determine how to continue to successfully manage its growth, integrate multiple facilities, gain manufacturing efficiencies, improve customer service, and achieve the organization's strategic goals. Business and IT consultant Affiliated conducted an in-depth Business Assessment and oversaw a Request for Proposal (RFP) process involving multiple software vendors. Sutphen expects to realize double digit increases in production productivity, reduce inventory costs by 5% annually, improve post-sales support and service for office and field based staff through better access to production and customer records, use of a knowledgebase for vehicle and component information, and an overall increase in annual profitability by 5% once the recommendations and ERP system is fully implemented. "Affiliated's Business Assessment process taught us a number of things about how our production processes actually worked. It was a real eyeopener that is now helping us put better processes in place that will eliminate waste and drive profits to our bottom line."